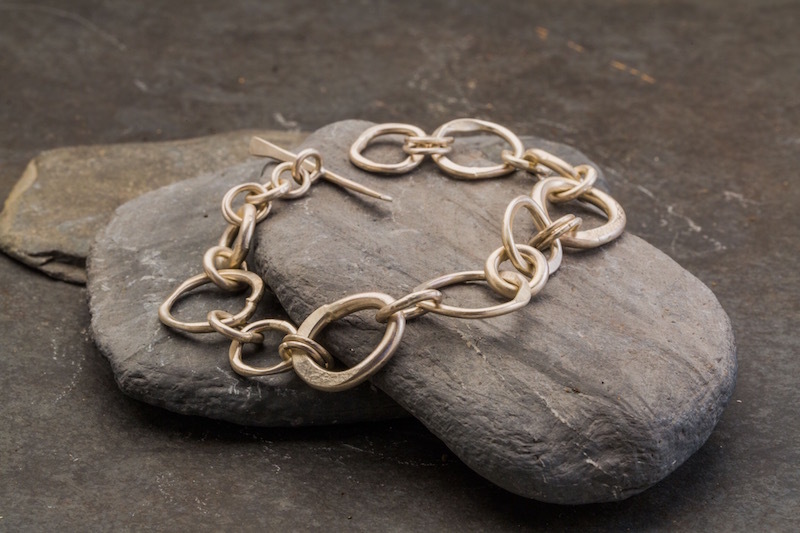 Handmade sterling silver multisize link bracelet. 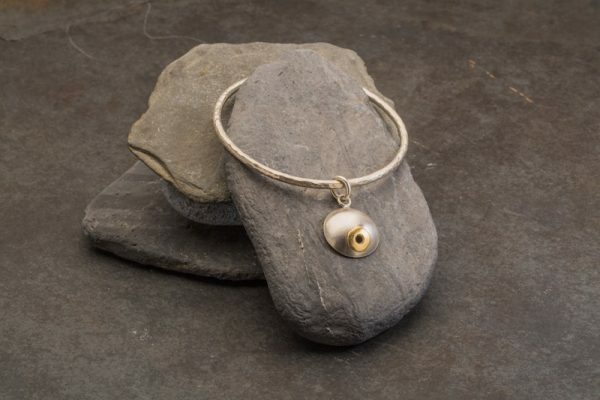 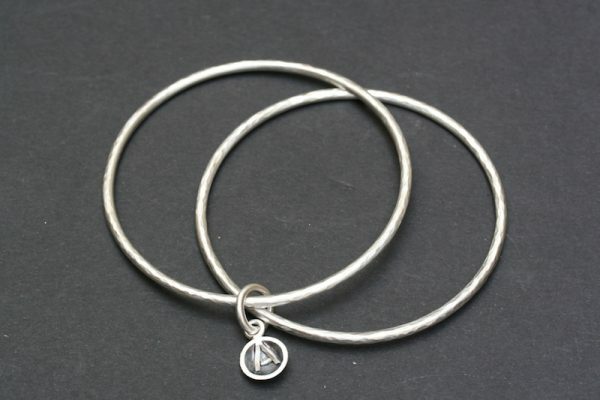 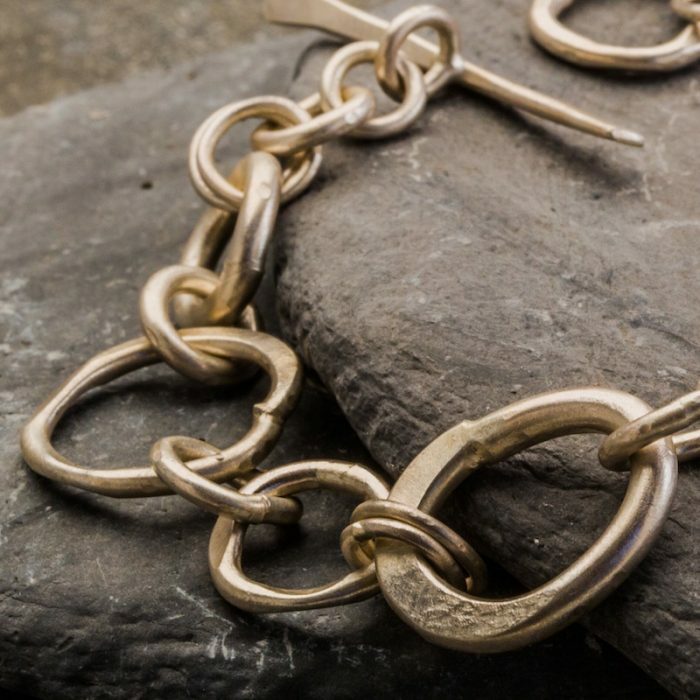 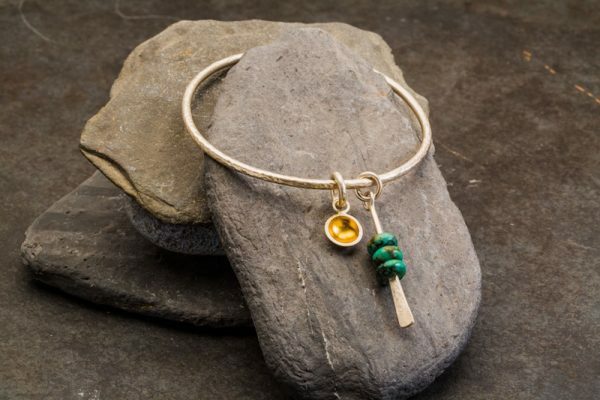 The bracelet is made up of irregular shaped and sized links, each piece is unique. Satin finish silver with a beaten pattern.